Today, people use cng (compressed natural gas) as a fuel source for their vehicles like buses, cars, auto instead of petrol and diesel due to its high environmental friendly nature and economical value. To ensure to provide complete safety to the passengers and drivers, the cng fuel cylinders should be tested time to time according to the safety standards. It should be done to avoid any kind of mishap, serious injuries and powerful explosions due to outdated or defected cng tanks. This cng cylinder testing plant is designed to inspect all types of cylinders according to the guidelines of government and petroleum and explosives safety organization (peso). 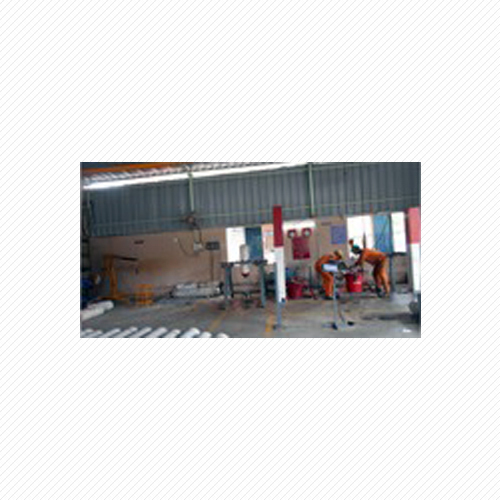 This cng cylinder testing plant is available with high-end machinery, instruments and mechanisms. In addition, it is available with advanced testing kit which is managed by expert technicians to provide complete care and security to the cnc cylinders. With the advent of alternate of petrol & diesel that is CNG (Compressed Natural Gas), the use of oil as a fuel source in vehicles is reduced. Today, people prefer to use CNG in vehicles such as cars, buses, auto and so on owing to its high economical value as well as environmental friendly nature. This should be tested time to time according to the safety standards to ensure complete safety of drivers and passengers. Regular testing is necessary to avoid any kind of major injuries & powerful explosions caused due to outdated or faulted CNG tanks. At our high-end CNG Cylinder Testing Plant, we carry out strict inspections of all kinds of cylinders according to the norms & rules of government & Petroleum and Explosives Safety Organisation (PESO). This CNG Cylinder Testing Plant has world class machinery, advanced instruments & mechanisms along with modern testing kit that is managed by accomplished technicians & engineers to give proper care to CNC cylinders.